All Tomorrow’s Parties America presents “I’ll Be Your Mirror” Curated by Greg Dulli – NYC [9.21-9.23.12] – Be Fearless. Be Flagrant. The good folks over at the FADER sent this over to a player. 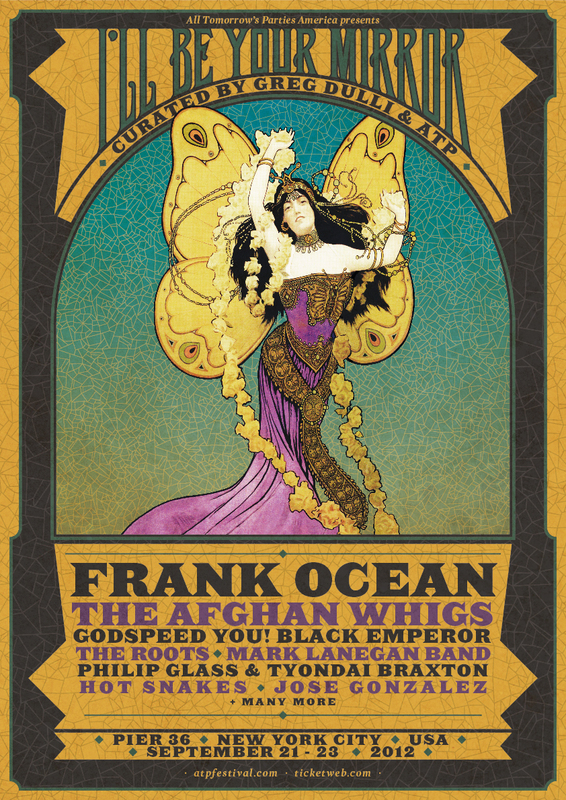 Performances by: Frank Ocean, The Afghan Whigs, Godspeed You! Black Emperor, The Roots, Mark Lanegan Band, Philip Glass + Tyondai Braxton, Hot Snakes, Jose Gonzalez …and many more!